Senior Dogs: Is adopting an older dog for you? You are here: Home / Care for Pet / Senior Dogs: Is adopting an older dog for you? Today the population of dogs is aging. There are more and more senior dogs in households and it is more common to see older dogs available for adoption than it was twenty years ago. I thought it might be a good idea to outline some special considerations for those wanting to rescue or adopt an older animals…they are certainly easier than raising a puppy! Should you adopt a senior dog? One advantage to obtaining a senior dog is that you will usually know about any behavior or health issues before you get the animal. In some cases these problems can be addressed behaviorally but you avoid those animals that will be unsuitable for your lifestyle and family composition. For instance, an older dog that is losing its hearing and mobility is not necessarily a good match for a household with a toddler. Does the adoptable senior dog come with records? It depends, since senior dogs don’t always get adopted right away, foster homes and shelter caregivers usually know a lot about the animal. Anytime you can, get a complete history on the animal. This should include veterinary records, behavioral notes, and assessments from pet professionals. 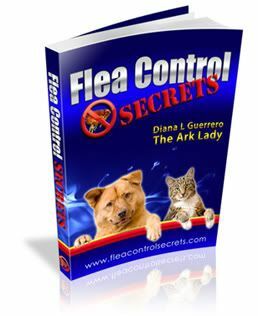 Previous owners are not always truthful and will intentionally leave out important information that might be critical to the health and well-being of the animal and new owners. So, talking to caregivers and looking at all the records and notes is important. Taking your time to get to know the animal and putting in into a variety of circumstances can give you a pretty fair assessment. How fast can you integrate a senior dog into the household? I find it bizarre that some people spend more time selecting a car or stereo system than in selecting a pet. Research the breed traits thoroughly and spend time with the animal over a few days or a longer period of time if you can. I like when people invest time by taking pet potentials into different environments, expose them to other animals, and introduce them to family members on neutral ground. This reveals more about the animals and helps you to assess the senior dog more accurately. Pay attention to “gut feelings” and if you have any doubts, don’t adopt that animal. Most senior animals settle in pretty quickly. Breed rescue or shelter groups as a source for senior dogs. You might not be aware of this, but there are senior dog specific adoption agencies. Most breed rescues also have older dogs available. Many dogs are in their prime at 7 years of age but many bigger breeds are still considered senior citizens. If you live in the Cleveland, Ohio area you can actually attend a senior dog adoption Sunday at the end of every month. The Senior Dog Project lists agencies and groups that have senior dogs available for adoption. Search specifically for senior animals in your area or around the nation at PetFinder.com. Do you need to budget more for veterinary medical care? With the growing costs of veterinary care consider obtaining veterinary insurance for all your animals. Older pets may or may not have more medical problems. Often they will have moles, fatty tumors, and other minor things. They may show other signs of aging such as loss of eyesight or hearing. You must be prepared to deal with an older animal having more trips to the veterinarian and a shorter lifespan. As a dog ages, tartar, gum disease, and tooth loss are potential problems. Senior dogs may experience pain and discomfort from arthritis, and sometimes face other problems associated with age such as cognitive dysfunction (age-related dementia), kidney problems, or other maladies. Do older dogs have lower activity levels? Senior dogs are not as demanding as their younger counterparts. Like any animal, older dogs need quality time, attention, and walks. Most older dogs are content to sleep and curl up at your feet and nap. Older animals prefer quiet walks to running and will usually not pull you around on the leash or jump on you. In most cases, playtime is less active . Do senior dogs have special nutritional needs? Nutritional requirements are important to an older dog. The caloric value needs to be less if they are to remain fit and trim. It is a shame to see older dogs carrying excess weight since this shortens their lifespan and causes more health risks and problems when compared to animals kept at their optimal weight. Rich foods, as a rule, should be avoided. Check with a canine nutritionist for the best program recommendations. Can you train a senior dog? Yes you sure can! The mental stimulation and occupation is a great way to enrich an older animal’s life. Training an older dog is different because they are senior citizens and take longer to respond. Their reactions are slower and their mobility might be limited. Just remember that aches and pains and slow responses mean you should not tax them too much mentally or physically. Also, if you are facing any behavior problems get professional help right away. Make sure to start with a veterinary medical evaluation. Entrenched problems that have existed for a while take longer to extinguish but sometimes behavior problems arise when there is a veterinary medical issue. What is the advantage of adopting a senior dog? The rewards are great if you adopt an older dog. You should feel good about your decision to provide love and attention to an animal that would otherwise not have a chance. They often tend to be some of the best companions you could ever find. It is unfortunate that they are often overlooked since they provide loyalty, love, and companionship in their own quiet and individual way. A thumping tail and a cold nose is a wonderful thing–whatever the age. Do you have a senior dog? Leave a comment below. The majority of my dogs have been senior dogs from rescue (including a mill dog). They are really the best! Don’t be afraid to give a mature dog a chance! I love older dogs. They are mellow and happy critters. Thanks for stopping by!